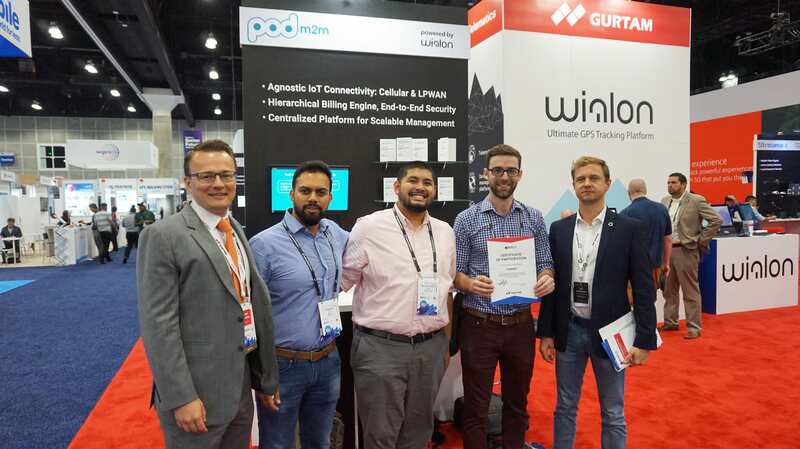 How was MWCA 2018 at Gurtam megabooth? “Check out Gurtam. They are the very developer of the GPS monitoring and fleet management system that I work with.” – This is how our partners introduced us to their clients and suppliers. 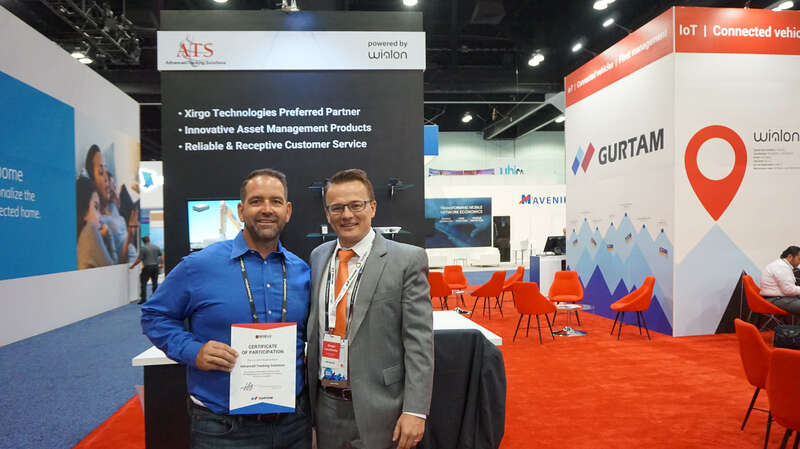 Either of them spent hours at our booth because this year at MWCA, Gurtam gathered together ten key players of the telematics market. After groundbreaking success at Navitech 2018 in Moscow, the concept of Gurtam megabooth worked fine for the United States as well: 220 square meters accommodated exhibition, business meetings, and networking. We created this format so the visitors could get everything they needed in one place. 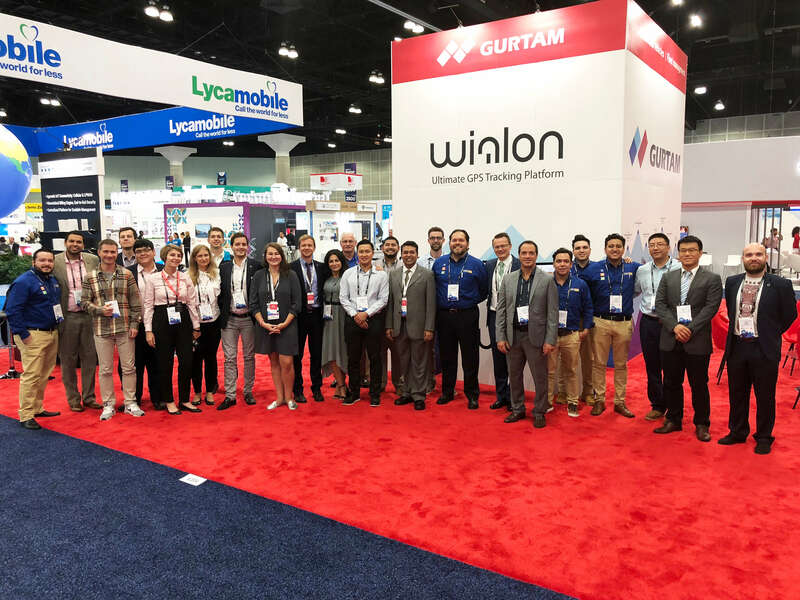 See for yourself: the visitor comes to the booth where they can not only get acquainted with the ready-made solution by Gurtam but communicate directly with the developers of Wialon-based solutions, hardware manufacturers, and connectivity providers. 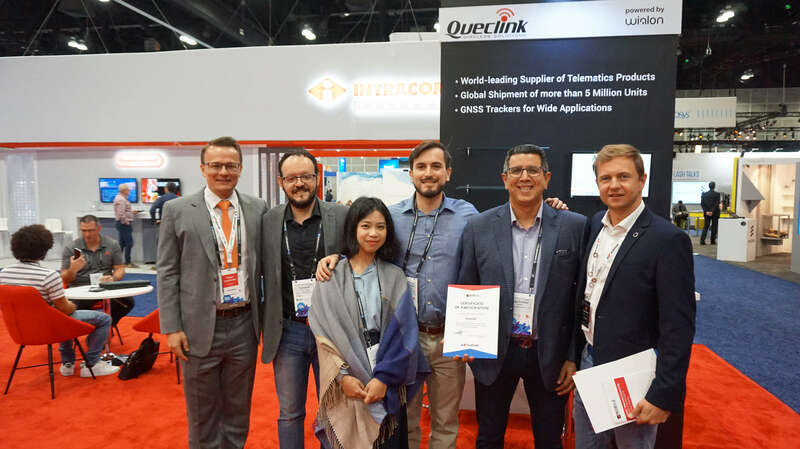 Queclink presents a range of brand new LTE CAT-M1 products that will go live soon opening new business opportunities for a wide range of fields. Additionally, the company completed a low-power consumption 4G products deployment for the US market. 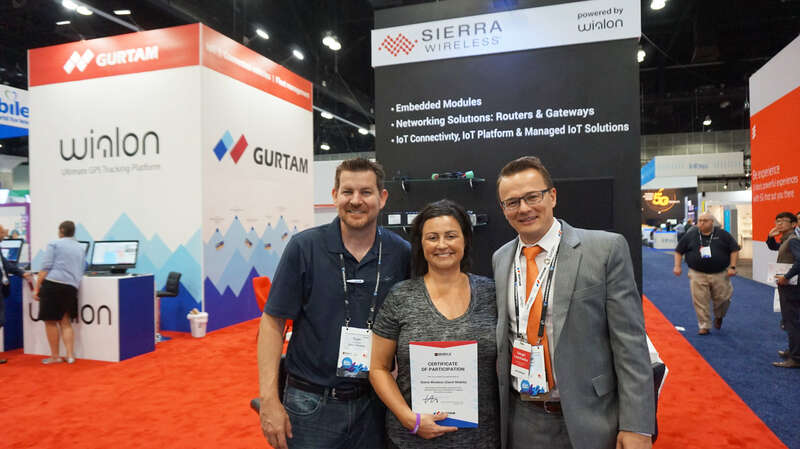 Sierra Wireless demonstrates a live private LTE network operating in the U.S. Citizens Broadband Radio Service (CBRS) band. On top of that, they showcase their new highly configurable GNX6 ELD hardware solution. Then Assured Tracking is who you should talk to. Their Apollo ELD is a driver-friendly, flexible, and reliable ELD solution that supports over 15 different ECM-linked devices, both wired and wireless. 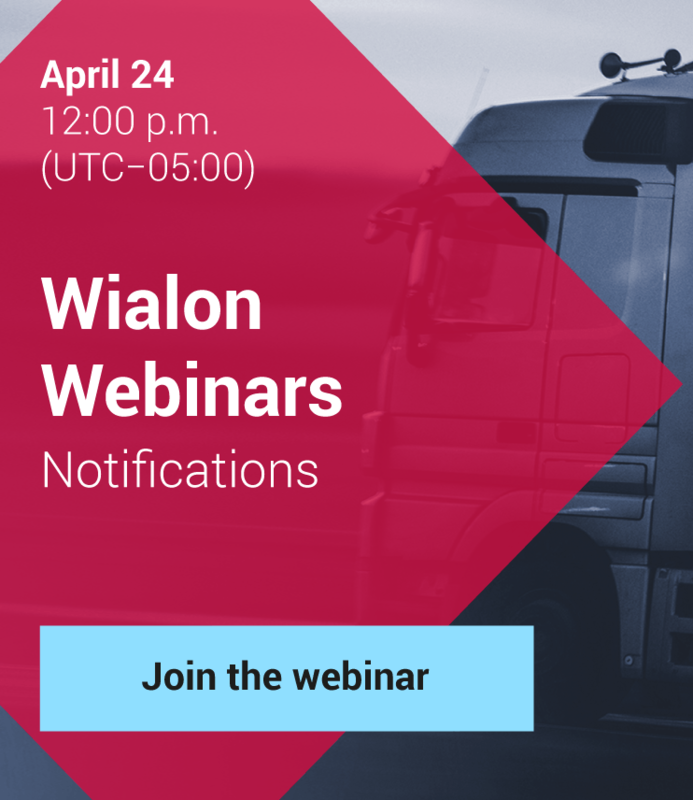 You can also drop in on Advanced Tracking Solutions, that is Xirgo Technologies distributor based in Southern California and the leading supplier of the GPS monitoring devices all of which are fully integrated to Wialon. Looking for the video monitoring solution? 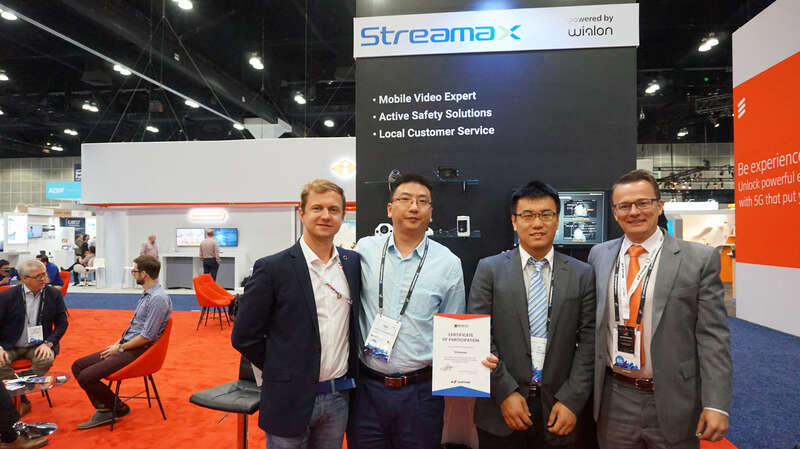 Streamax Technology is a world-leading mobile surveillance solution provider with over 1 million systems installed worldwide. The local video analysis provides a real-time warning to the driver for accident avoidance. 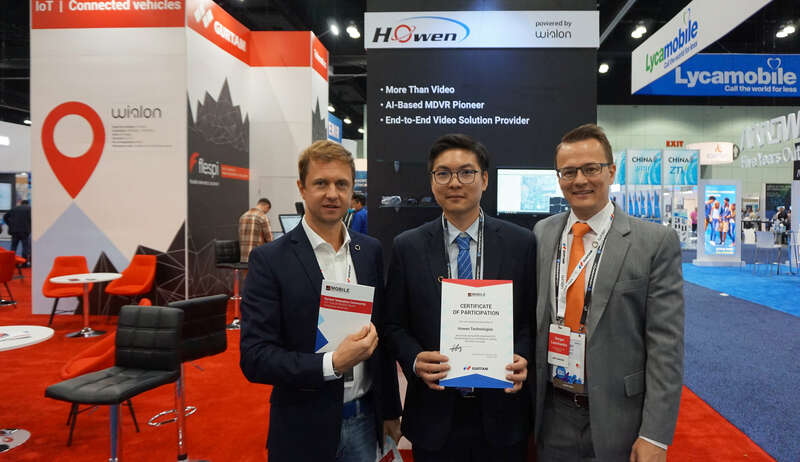 Howen Technologies representatives are willing to tell about their HOWEN VSS(Vehicle Service System) complex solution for driver behavior control, monitoring, and video analysis optimization. 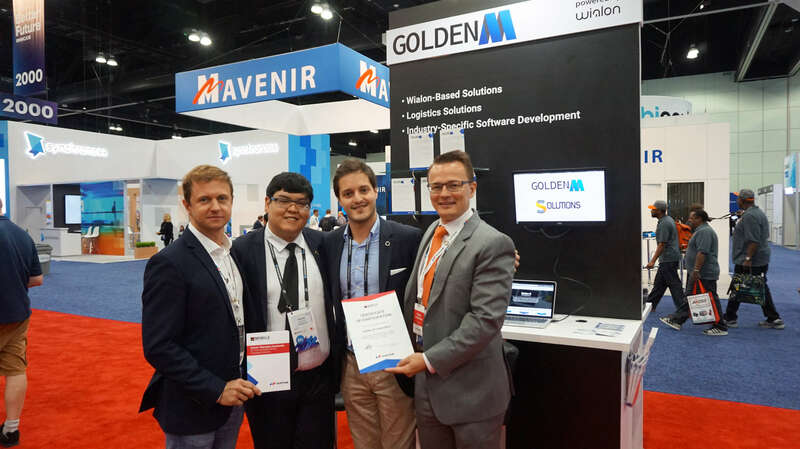 Orlando Monagas from Golden M is ready to get you acquainted with Elucate, the solution for school buses tracking, Tenvio, Logistics alternative, and Gormix, the solution for the construction industry. If the visitor is Gurtam partner, the company has something special for them – Goffice, which is the set of tools making the work with Wialon as easy as 123. 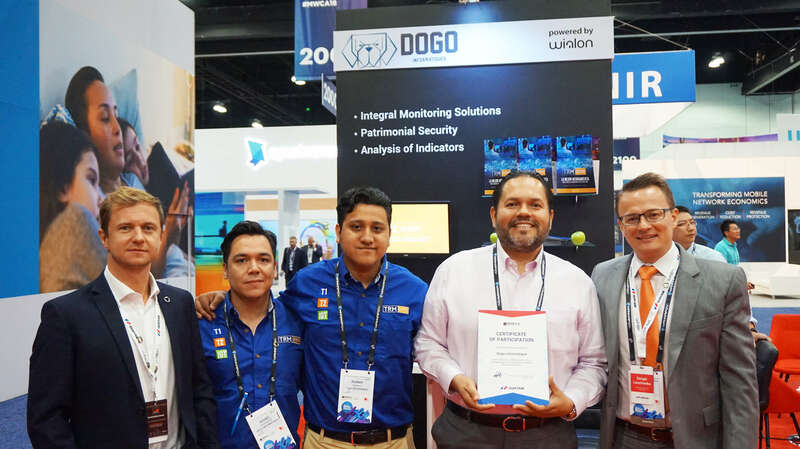 Dogo Informatique shows the benefits of their TRM system, the integral solution for the administration of signals emitted by various devices such as security cameras, refrigerators, tracking devices and many more. The signals are received through flespi. PodM2M, a mobile virtual network operator (MVNO) specializing in global connectivity solutions for the IoT market presents the Pod Billing demo-version. It is a platform to properly monetize IoT solutions with tiered billing hierarchy and invoice generation on every level. Having visited all our co-exhibitors, the guest leaves our booth with a considerable amount of useful information received in one place. Some partners are already planning to take part in 2019 events together with Gurtam: “Regarding the megabooth. It has been really productive and a great experience. 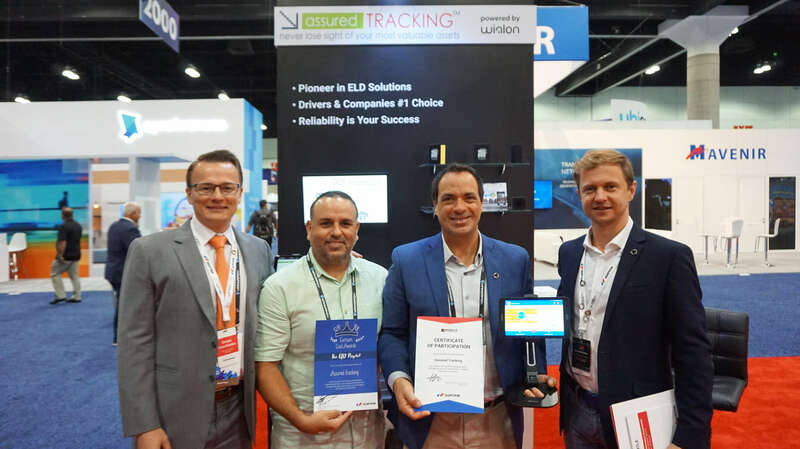 Looking forward to joining megabooth at Expo Seguridad México in 2019.” – says Orlando Monagas, Golden M.
According to the general opinion of the participants, Gurtam megabooth became the telematics ecosystem with a powerful field of attraction. Want to join? Write at marketing@gurtam.com and book a place at our booth for 2019! Mobile World Congress Americas is one of the most remarkable events in the sphere of digital technologies in North, Central, and South America. This year, over 22,000 specialists and 1,000 companies from 110 countries took part in the exhibition.